Matt Dunn, Co-Capt. of the Hockey team, in the 5-2 win over Abington. The winter sports season is here and came up on us faster than expected. Boys’ hockey, along with the other winter sports, is ready for the upcoming season. The coach of the hockey team, Michael Flaherty has high hopes for the team. “I am very confident in this group. I expect a SSL championship this year,” he said. A majority of juniors and seniors fill the roster this year as many key players have returned from last year. Senior Matt Dunn, along with other seniors look to lead this team to something special this year. “I think this season is going to be huge for us. We have the potential to win the league for only the 3rd time in school history.” Dunn has been on the team since he was a freshman and knows a thing or two about winning. The team opened up with a scrimmage against Marshfield on December 2. The team might have fallen 5-1, but it was a nice challenge to get the boys ready for the upcoming season since Marshfield is a Division 1 team. The boys’ first regular season game was against Dartmouth on December 10. You could say it was a revenge game considering that Dartmouth knocked the Bulldogs out of the playoffs last year. No team was going to take that lightly so the first game of the year was sure to be a good one and it was: a 2 to 0 win over Dartmouth. 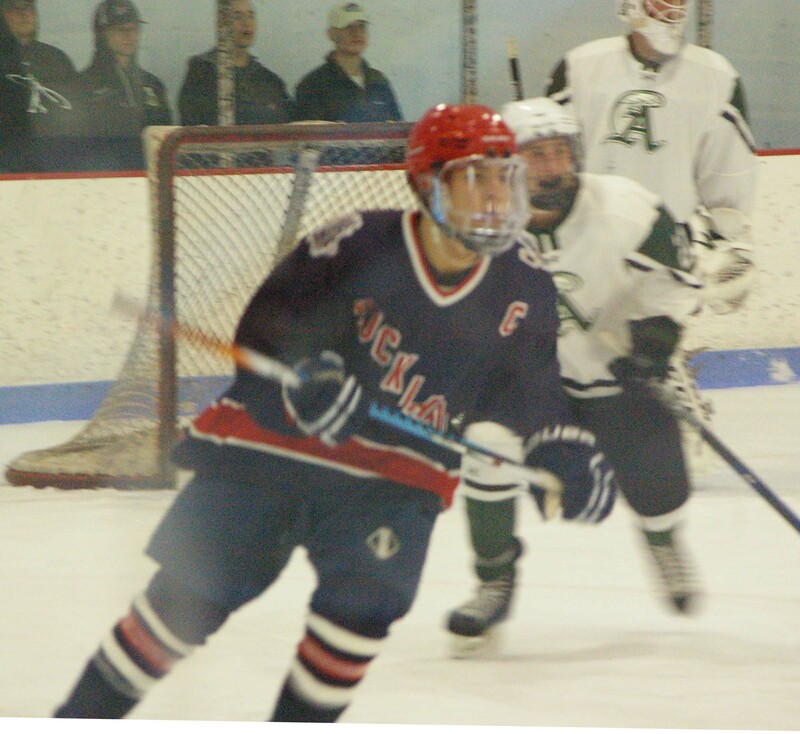 Freshman Zack Callahan scored both goals. Harry O’Brien had a shut out in net for the Dogs. Every year things change for teams and Matt Dunn thinks one positive change is the defense. “I think our defense will be much stronger from the net out… defense will be no issue for us.” Dunn also mentioned that all their defensemen besides one are returning this year. This group has brought back a lot of last year’s team which brings up team chemistry. Both the coaches and players think that the chemistry is strong within this group. “It has the potential to be better, but only time can really tell,” said Dunn. The team will be busy after Christmas with the Cashman Tournament on Dec. 26, and 28 and a game with Cardinal Spellman on Dec. 31.